The care of trees is our passion. Since our family business started in the early 1980s, it is what we, at The Original Tree Surgeons, have dedicated our working lives to. With us, you will always receive an efficient, tidy and professional service. 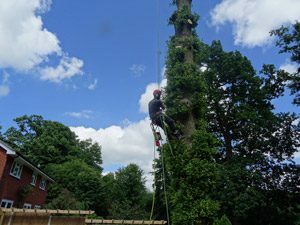 Every project we undertake is guaranteed and we are fully insured to carry out all domestic and commercial tree care work – starting from a single tree in your back garden to regular tree care services for local authorities, schools and hospitals. Effective tree care often requires regular inspections and we would certainly recommend an annual site visit for clients with an extensive number of trees. This is especially the case where much of the stock may be extremely mature – in many cases hundreds of years old. We are also experienced at looking after listed trees. Trees are precious commodities. Their upkeep, protection and maintenance is forever a work in progress – but work that is incredibly important and worthwhile. If you feel that you have trees requiring more care than they are currently receiving, call The Original Tree Surgeons on 01892 599331 for an expert opinion on the best way forward. Our site visits are free and you are under no obligation.